Hot sellers and craft shows and easy peasy to make! 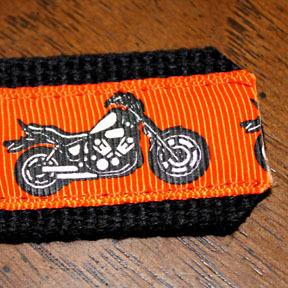 Surprisingly simple even for those that have very little sewing experience. 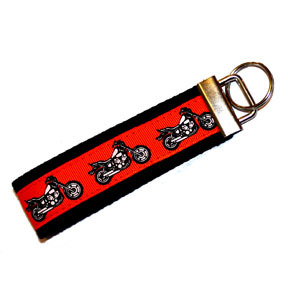 First thread up your machine with thread that matches the ribbon you want to use on your key fob. Change your needle to the heavy weight sewing needle. 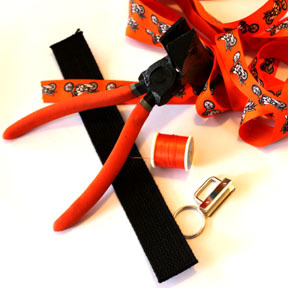 Cut your webbing to your desired length. We cut ours to 10 inches which is ideal for people like me with larger hands to slip their palm in, or for more petite people to use as a wristlet. 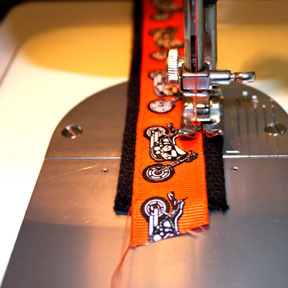 Line up your ribbon centered on the webbing and place under your sewing machines foot. Before starting I lower the needle partially so that i can get it fairly close to the edge of the ribbon while lining it up. 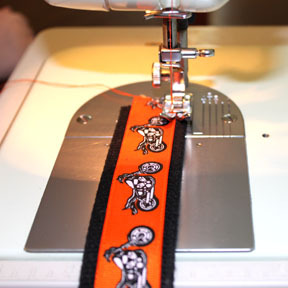 Sew a straight line down your webbing. Sew down the other side the same way. 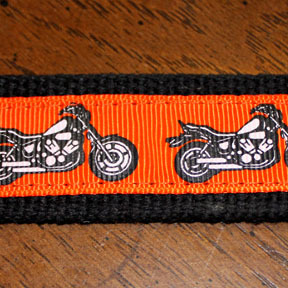 Your webbing should look like this once you have sewn both sides. Trim up the threads at each end. I also trim off each edge so that they don't fray during use. Sew the two unfinished edges together about a 1/4 inch from the edge. Line up your hardware covering the unfinished tip and use your welding pliers gently to partially clamp the hardware on (pic 1). Check your alignment and make any adjustments needed. Use your pliers again to apply enough pressure to completely clamp the hardware onto the webbing (pic 2). Add the key ring and your done! Pro tip: When using your pliers add a piece of fabric to cover the hardware. This will help prevent any scratches or marks on the hardware. Thank you for sharing this. Because you told me about the welding tool, I can now do my ribbon belts better. THANKS!!!! All About Ribbon Supports Autism Daily!